I am proud to announce that I am moving this blog to my own hosted domain. All the content on this site has been migrated and new posts will be appearing soon on the new site. Please visit this blog’s new home, th!nkB!G, at http://www.bigthinkers.us. The new site is up and running. If you subscribe to this blog or to the RSS Feed, I would appreciate you subscribing in the same way on the new site. The new site gives me the opportunity to have more control over the site and gives me more tools to be able to provide my readers with a better overall experience. I still love hearing feedback on the site and on the content I publish so please continue to leave input and comments. I encourage everyone to share the content on the site and get involved. I would like to extend a special thank you to all my loyal readers. I look forward to seeing you all at this blog’s new home, th!nkB!G. 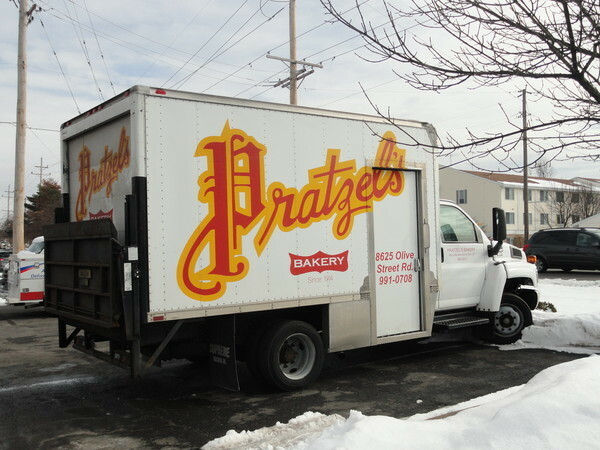 Pratzel’s Bakery Is Closing, Unless Someone Buys It (And We Have Something To Throw In The Purchase) « Falk Harrison Blog | Falk Harrison. Each year, second only to football talk, the banter and debate over the commercials dominates the day after the Superbowl. While there has been some integration of social media in ad spots in years past, 2011 showcased a real shift in the adoption of full social media adoption by many big brands. The conversation about the commercials has gone on for decades, and in the recent past, as with everything else in our rapidly advancing world, it has shifted to online venues, specifically social networking platforms. Twitter is probably the hotbed of Superbowl ad talk and this year there was even a somewhat “formalized” discussion going on. Advertising agency, Mullen and social media monitoring software provider Radian6 sponsored “Brand Bowl 2011“, a Twitter-based public gauge of the Superbowl ads. The coined the hasthtag #brandbowl and monitored it, as well as many other key words to track total buzz and positive versus negative sentiment. So, the buzz about the Superbowl commercials has certainly shifted from the water cooler to the internet, mainly social media platforms, and big brands have noticed. The average cost of a 30-second Superbowl spot is about $3 Million, so brands need to make it count. Many of the biggest brands buying the coveted ad spots integrated social media into their commercials, driving consumers to their own venues to have the conversation about their brand. They are finally getting it. The conversation is going on regardless of your brand’s involvement. Why not provide people with the venue to do it. Then you can more easily monitor the conversation, more easily engage in the conversation, and hopefully even control the conversation. Perennial Superbowl spenders, Pepsi had some well received spots pushing Pepsi Max, and the commercials included their Facebook Page’s URL and no mention of their website. Budweiser and many of the other big brands followed suit and included the web address to their Facebook Pages and not their website. On Twitter, many brands, including Chevrolet, paid for “Promoted Tweets”. They knew the conversation was happening on Twitter. What better way to get their brand and their message in front of all the eyes that were taking part in the conversation. Audi even included their own hashtag in their ad to encourage Twitter conversation about their commercial and their brand. It certainly also gave them the ability to track and monitor the conversation and sentiment about the ad more easily. Volkswagen pioneered an interesting and ingenious concept for the plan behind their Superbowl commercial. They leaked a 60-second spot on the internet prior to the ads actual premier during the game. This got the buzz going even before the ad aired during the Superbowl. It also gave them a head start in monitoring the conversation and sentiment about their spot. When the ad finally aired, many were surprised to see a 30-second cut of the commercial, as opposed to the 60-second spot found online. This was a smart use of marketing dollars. The buzz was started online with the 60-second spot and they then could really accomplish their goals with the 30-second spot during the big game. This probably saved them several million dollars. Many ads were available instantly after they aired on TV, on YouTube. YouTube provided a platform not only for consumers to view the ads but then have the conversation and leave feedback without having to go somewhere else. This also encouraged users to share ads via their own social networks. Perhaps nowhere was the adoption of social media into the mainstream more evident than in the Chevy Cruze commercial. The ad touted the car’s on-board internet capabilities, noting the ability to check and post real-time status updates to Facebook. Not only was this ad an example of social media’s integration to mainstream media, but also to the public’s infatuation with social media in general and turned into some free publicity for Facebook, the world’s largest social network. 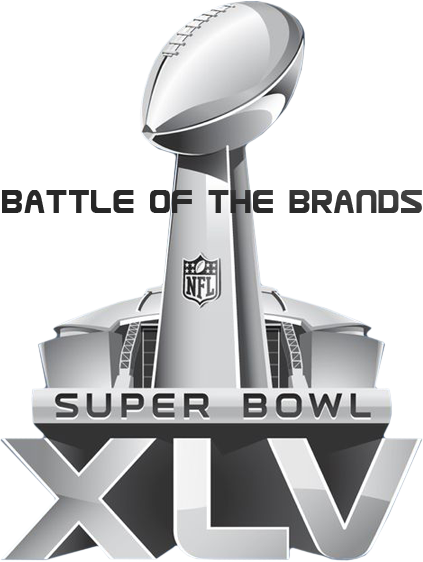 Superbowl XLV was filled with the usual balance of ad types. There were funny ads, interesting ads, thought-provoking ads and head-scratching ads. They debate will go on for days about the good versus bad and it will happen online much more than in years past. Big brands are finally starting to understand and attempt to harness the incredible power of social media for the advancement of their brand. Social media is a platform for brands to get consumer feedback, monitor conversation and sentiment, engage in customer service and ultimately “pointcast” their message to an active and engaged audience. Now is the time for big brands to hop on board or miss the boat all together. If they are not already present and active in the social world the time is running out. Their customers are there. Their competitors are there. If they are not there, they ought to be. Although this is slightly different from my standard content, I thought it was both interesting and important to share. It appears as though Verizon customers who pre-ordered the Apple iPhone 4 Yesterday, February 3rd, will be receiving the handsets prior to the scheduled February 10th official release date. I, like many Verizon customers, have been chomping at the bit awaiting the release of the iPhone on the nation’s largest, and arguably most robust cellular network. When I found out that the wait was finally over I was obviously excited. I signed up for notifications from Verizon and was informed that I would be able to pre-order the iPhone on February 3rd and guarantee myself an iPhone from the first batch to be released and received on February 10th. Yesterday was D-Day. I woke up at 3am, as that was the hour when Verizon’s website began taking the pre-orders. I rushed through the process and placed my order. I received my confirmation e-mail informing me that I would indeed be receiving my very own Verizon iPhone on February 10th. No waiting in line. No worrying about a sell-out. I was happy. Today, I am even happier. I awoke and picked up my BlackBerry. There was an e-mail from Verizon confirming my order had been shipped!?! I logged on to my laptop and verified that the e-mail said just that. I checked out the FedEx site and there it was: Estimated Delivery February 7, 2011. So it looks like Verizon customers can indeed get the long-awaited Apple iPhone prior to the scheduled February 10th release date, as early as February 7th. How has Social Media impacted marketing for small businesses? What are the latest trends? What are the real statistics and numbers when it comes to social media in the small business space? These are just a few of the questions that are answered in this video. Produced by Davanti Digital Media, Social Media For All: How Social Media Changed Small Business Marketing, crams tons of information on the impact social media can have on marketing for small businesses in just over a minute and a half. Watch it! You won’t be disappointed. Is your company breaking into social media? Good. You’re not too late. But, now that you have taken the very important step of establishing your brand in the social world, what are you going to do next. To build a following, maintain that following and engage with your audience, there are things you must do. Obviously you need to update regularly. If your content gets stale, users lose interest. The content you do offer should fit certain criteria to accomplish the goals you have set for your social presence. Here are 5 things your brand should offer through its social media channels to make it most effective. 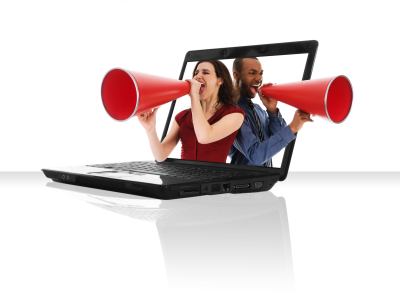 Use your social platforms as your virtual soapbox. Do you have an event coming up? What about the latest industry news? Is your business having a sale or getting new products? Let your fans and followers know about it through Facebook or Twitter. This creates value. It gives your audience a reason to pay attention to your feed. It also reminds them of why they follow you in the first place. Providing valuable information is an essential way to use your social channels. Entertaining your audience is an extremely effective way to keep your audience coming back and create new followers. How does something on the social web go viral? People share it. When you create an entertaining piece of content, users eat it up and then pass it on. Think about the last time you saw a funny YouTube video. After you watched it, did you share it on your Facebook profile or e-mail it to friends. How many of your friends then did the same? Entertaining your audience is one of the best ways to create engagement and increase your audience on the social web. Another great thing to offer users through your social channels is something of utility. Something they can use. Consider developing a useful app or even just linking to an app that your audience will find useful. They will appreciate it. Another utilitarian piece of content that can be disseminated through social channels is a “How To”. Consider writing a blog post or creating a short video that explains how to do something that your users will find useful. These are some of the most popular pieces of social content. No, I am not telling you to offer cash for friends or fans or followers or anything like that. That goes against everything that social media is about. 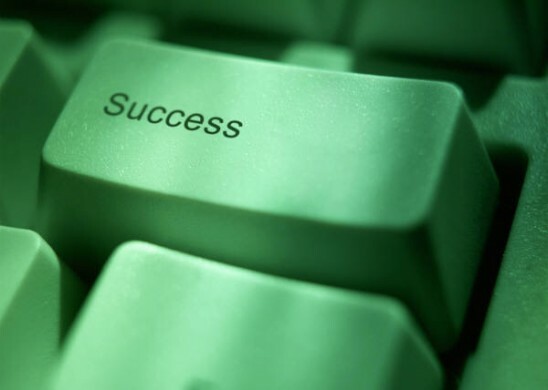 You can, however, offer your audience incentives to following your brand on the social web. This can be done in two ways. You can offer a financial incentive, like a coupon or discount, to new followers of your brand on the various social platforms. Or, you can simply inform the public that you disseminate coupons, discounts, early access to sales, etc. to your fans which will generate new followers. Everyone wants something for free. Or at least wants to feel like they got an insider’s deal. Use that to your advantage when building and maintaining your social audience. Last, but certainly not least, offer your customer service to your existing client base or potential customers. In the recent past, many large corporations, including Comcast and Best Buy, have used Twitter as a hugely successful customer service tool. You can resolve issues, in real-time, and answer questions about your product or service from prospective customers. There is one caveat to taking this approach. DO NOT TAKE YOUR TIME! Customers expect a quick response when they take to the social web for customer service related issues. If you fail to provide a response in a reasonable period of time, or not at all, you may lose a customer. Social media can provide an invaluable and less-expensive alternative to traditional customer service undertakings. Social media can provide a brand with an unparalleled outlet to build a base of loyal brand evangelists that can help grow a business. What you share with your audience can directly affect your social success, or lack thereof. Sharing valuable content can be the key to making your social media efforts all worthwhile. Social Media is turning marketing on its head for many reasons. It can be relatively inexpensive and extremely targeted. It offers an unparalleled way to engage with your target audience. One of the aspects many business owners and execs like about social media for marketing purposes is how easy it can be to track the success, or lack there of, of a certain campaign. While there are many paid software suites and platforms available to track and measure social media marketing efforts, there are also a multitude of free ways to track the performance of your social media marketing. If you are not currently using Google Analytics you are missing out on a wealth of information with respect to website traffic and metrics. As soon as you are done reading, install it. Google provides free code which can easily be installed into your site source code and provide you with great, in-depth analytics. While it provides information on SEO and keywords, pageviews, bounce rate and more, it also provides great resources for tracking the success of your social media marketing. You can easily view sites from which traffic to your website originates. You can see how much traffic is being directed to your site from your social channels and look for spikes in site traffic that coordinate with digital, online and social media marketing campaigns. Social Mention is a real-time social media search and analysis tool. It is totally web-based and does not require any installation. It is essentially a social media search engine. You simply enter the term or terms you would like to search for across the social web and in a matter of seconds you can see a listing of all mentions. Furthermore, you can see the “strength”, the likelihood your brand is being discussed in social media, the “sentiment”, the ratio of positive to negative mentions, the “passion”, the likelihood that the users mentioning your brand will do so again, and the “reach”, the range of influence in which your brand is mentioned. Through a Gmail account you can easily and quickly start using Google Alerts. You enter your search terms, where you want Google to search, the frequency and volume of results and where you want your alerts delivered and you’re done. Sit back and wait for your alerts to start rolling in. Many people know of bit.ly as a popular URL shortener that can be used to share long links via tweets, e-mail and more. What many people do not know is that bit.ly has real-time link tracking built right in, and it’s absolutely free. Just register for a free account and start shortening. You can then view the number of clicks your link got, as well as additional metrics. Another great feature of bit.ly is the ability to customize your short URLs. This will give you insight into what short links are more effective. You can use two different versions of short URLs and see which one got more clicks and ultimately was more successful in spreading your message and getting more impressions. Tracking, measuring and analyzing the successes of your social media marketing efforts may be easier, and cheaper, than you think. 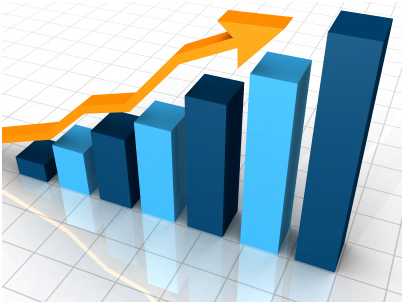 Analytics and metrics are an essential part of any social media marketing strategy. Before you implement yours, or begin a new campaign, be sure you have a clear plan to measure your results…and include these easy and free tools into the mix. If you haven’t already, before reading any further, watch this video! I have recently seen all the “best of 2010” and “year in review” articles and posts, and tried hard to resist writing one, but after seeing this video, I just couldn’t. 2010 has certainly been a banner year for social media. Facebook hit half a billion users and got its very own movie. Twitter has exploded at a rate I don’t think anyone could have predicted. Foursquare has single-handedly changed the definition of “checking in”, from going to the front desk at a hotel, to pulling out your phone everywhere you go and broadcasting your whereabouts to the world. 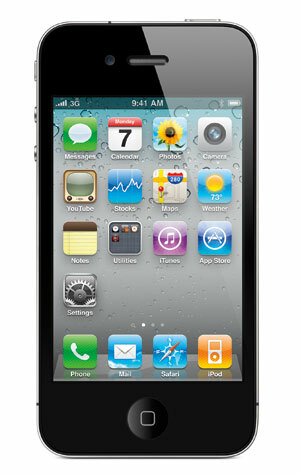 But one aspect of new media marketing that may have gone overlooked is the world of mobile marketing. So, you watched the video, right? Did you realize that more pictures are posted to Flickr by iPhones than an actual camera? Did you know that there were nearly as many mobile apps downloaded in 2010 as there are people on the entire planet? Can you even fathom the fact that 100 million YouTube videos are viewed on mobile devices…EVERYDAY!?! The average teen sends over 100 texts a day? Really? There’s 3G on Mt. Everest? I can’t get 3G on parts of the Jersey Turnpike? The bottom line is this: if you’re a marketer, and you’re not including mobile in your mix, you could be getting left behind. 2010 may prove to be The Year of Mobile. The world of social media, by design, is fast-paced and ever-changing. 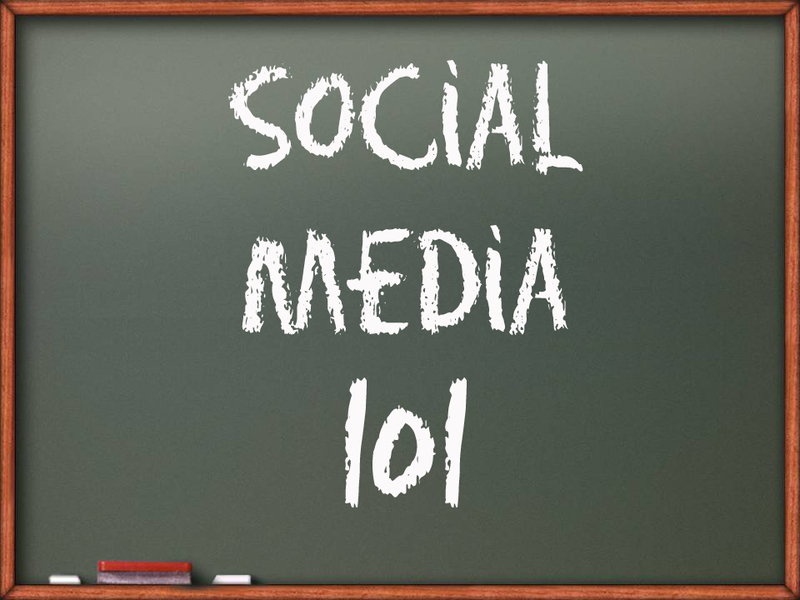 Because of this, it is inherently difficult to obtain a true education in social media. As Vice President of an innovative and emerging digital marketing agency I try to stay ahead of the curve and make sure that I, and my employees, are as knowledgeable and as educated as possible. To that end, I recently attended a groundbreaking new program offered by the Rutgers University Center for Management Development. The school offers executive education courses dubbed Mini-MBA. These programs are highly concentrated, 30-36 hour courses designed to give executives and industry professionals a crash course in a niche area of study and develop career skills. The Mini-MBA in Social Media Marketing was an invaluable experience for me. By focusing on core principles of social media marketing and assembling a faculty of highly respected and knowledgeable mavens in the industry, Rutgers has succeeded where many others have failed. The program centered on ten unique modules that provide a strong base for developing or continuing a career in the dynamic field of social media marketing. These modules included social media strategy, business blogging, legal and regulatory concerns, mobile and location-based marketing, social media ROI and more. Each module was carefully designed and presented by a member of an all-star team of social media personalities, each with their own specialty. The staff included Heidi Cohen, Alan Wolk, Liana Evans, Mark Schaefer, Greg Jarboe, Tom Chernaik, Christina “CK” Kerley, Rob Petersen and Dr. Augustine Fou. The instructors presented personally developed curriculum and gave every student personal attention. The class size was small, which led to great interactions among students and staff. The social media program was overseen by Faculty Chair Eric Greenberg, under the direction of the new Executive Director of Center for Management Development, Dr. William Bigoness. The program is also innovative in that an Apple iPad is pre-loaded with all course materials and included in the cost of tuition, truly making this a 21st century course. Each day is jam-packed with tons of useful information, adequate Q & A time with the instructors and time to work on the required group project. It would be virtually impossible to get all this valuable information from all these industry experts in the time frame that Rutgers has assembled. You could literally spend months trying to aggregate and curate all this information from all these trusted sources, without th personal interaction and the ability to get real-time feedback and input. Rutgers has done an impeccable job assembling this program. Even though I consider myself rather well-educated and “in the loop” when it comes to social media, this course was wealth of information, presented in an excellent manner. After a week of non-stop social media education, and after my head stopped spinning, I looked at the notebook I had completely filled with notes and nuggets of valuable info. I looked at the stack of business cards and new connections on LinkedIn. And I looked at the scribblings I had jotted down, as an idea struck me, for how to better my business with what I had just learned in the course. I looked at all of this, and thought to myself, “What is all of this worth?”. To me, that answer is simple. It is priceless. Yesterday I had the great honor and privilege of speaking with Joe Sorge of AJ Bombers about the use of social media for small business. Joe spoke for about twenty minutes and I was fortunate enough to be able to ask him a few questions and get some really great answers. Joe’s success in utilizing social media, specifically Twitter and Foursquare, in marketing AJ Bombers, a Milwaukee, WI restaurant has been highly publicized. Joe has even been called a Twitter “guru” and “genius”. In a popular interview with Chris Brogan, Joe once said that Twitter had built his business. During the conversation Joe explained his thoughts on how to leverage social media for different types of small businesses and explained some of the things that he does at AJ Bombers. Most interesting to me was the fact that in the restaurant he has a 42″ flat-screen TV solely dedicated to the AJ Bombers’ Twitter feed. Although putting your business out there in the world of social media comes with inherent risks, such as exposing the public to potential negative publicity, Sorge isn’t scared. Addressing negative concerns in the public can be an amazingly successful customer service tool that can create a strong brand-image. He acknowledged that AJ Bombers can make mistakes. But, he encourages his patrons to let him know, via Twitter or other social networks, when they fall short. He wants them to tell him so he can fix it. The “mistakes” seem to be few and far between if you take a look at their Twitter feed. An overwhelming majority of the interaction is extremely positive. Ultimately, Joe recognized the unparalleled power of social media to make contacts and connections with his customers and use social media as quite possibly the greatest tool for customer service, brand building and loyalty. I asked Joe what made him look to social media as a small business owner. He answered quite frankly. He explained that the recession had affected him and his businesses and he was panicked. He was looking for a magic bullet. He knew there was no such thing, but social media seemed like an inexpensive way to connect and engage with his customers. In Joe’s words, “social media doesn’t cost anything but time”. One of the insights Joe offered was that when businesses, especially small businesses, use social media, the business becomes a user of the same media as their customers. To your customers, you become one of them. Joe knows that many of his customers are already on social platforms and that a business should go where the people are. he and the staff at AJ Bombers encourage patrons who aren’t yet active in social media to get involved; right there in the restaurant. This is an unbelievably simple, yet ingenious, idea. How long does it really take to download a Twitter, Facebook or Foursquare app to a cell phone and create an account? Five minutes? Less? That Five minute investment could be invaluable to a small business trying to build or maintain a customer base. Joe also mentioned how his social media efforts aided his more traditional marketing efforts. He built a decent following on Twitter and more conventional media outlets picked up his story. That coverage resulted in a larger following on Twitter, which resulted in more media coverage. I think you get the picture. The story of Joe Sorge and AJ Bombers is a true social media success story. I think it is undeniable that Twitter played an integral role in their brand-building. Is Joe a genius? I don’t know. Is he a social media genius? My answer is yes.